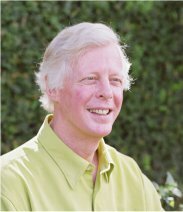 Born in Vancouver in 1943, Ted Chamberlin, a former mathematician, has taught comparative literature at the University of Toronto while living part-time in Halfmoon Bay and Ann Arbour, Michigan. He is a member of the Order of Canada. Having worked on the Mackenzie Valley Pipeline Inquiry and been a Senior Research Associate with the Royal Commission on Aboriginal Peoples, he is the author of If This is Your Land, Where Are Your Stories? : Finding Common Ground (Knopf Canada, 2003) which was a finalist for the Charles Taylor Pize and the Pearson Writers' Trust Award. His first book was The Harrowing of Eden: White Attitudes Towards Native Americans (1975). He has also written Come Back to My My Language: Poetry and the West Indies. The grandson of an Alberta farmer, Ted Chamberlin has bred horses and collected stories about them for Horse: How the Horse has Shaped Civilization (Knopf 2006). Ten years later he released a non-fiction book highlighting his grandfather Jack Cowdry's two-decade friendship with Crop Eared Wolf, a renowned Kainai (Blood) warrior who he met at Fort Macleod in 1885, The Banker and the Blackfoot: A Memoir of My Grandfather in Chinook Country (Knopf 2016). Crop Eared Wolf became head chief of the Bloods; Cowdry opened a bank, married schoolteacher Gussie Thompson and helped produce a satirical newspaper called The Outlaw. Chamberlin uses his grandfather's life as a window on life in the foothills of what is now Alberta from 1885 to 1905, introducing colourful characters that include the famous Metis guide Jerry Potts, black rancher John Ware and the son of Charles Dickens. Chamberlin has delivered the 2004 George Woodcock Memorial Lecture at UBC on "Civil & Uncivil Society; or Fostered Alike by Beauty and by Fear" and the 2005 Garnett Sedgewick Memorial Lecture on "Living Language and Dead Reckoning: Navigating Oral and Written Traditions." He is married to Jamaica-born author Lorna Goodison. Island: How Islands Transform the World (New York, Toronto and London (UK): BlueBridge, Cormorant and Elliott&Thompson, 2013). Horse: How the Horse Has Shaped Civilizations (New York, Toronto, Oxford:BlueBridge, Knopf/Vintage, Signal Books;2006, 2007). If This is Your Land, Where Are Your Stories? Finding Common Ground (Toronto, Cincinnati and Manchester: Knopf/Vintage, Pilgrim Press, Carcanet; 2003, 2004, 2006). Come Back To Me My Language: Poetry and the West Indies (Chicago, Toronto and Kingston, Jamaica: University of Illinois Press, McClelland and Stewart and Ian Randle Publishers, 1993; 1999). The Harrowing of Eden: White Attitudes Towards Native Americans (1975). [BCBW 2016] "First Nations" "Indianology" "Political Science" "Folklore"